I knew I'd seen that picture before, but I couldn't place it. 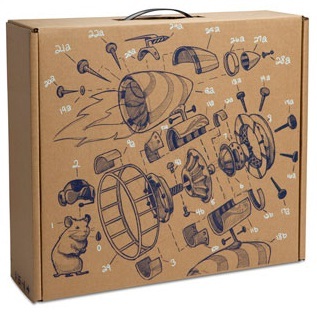 As I was opening the inner box, I remembered: I'd seen it in an unboxing video for the CR-48 Chrome Notebook! 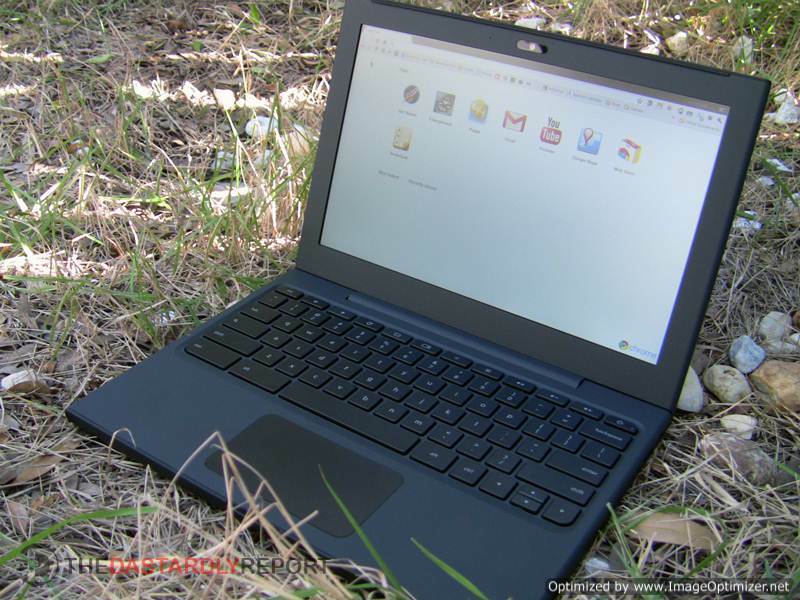 Quick recap: The CR-48 is Google's first official product running ChromeOS. 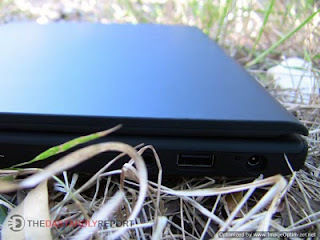 It's a simple netbook-style computer with a 12.1" screen, full-size chicklet keyboard, multi-touch trackpad, integrated webcam, built-in Verizon 3G, all in a thin, non-descript, minimalist housing. The hardware is all black soft-touch material with no markings or logos anywhere...at all. It's a simple thin, black slab, and in a world of laptops covered in logos and product endorsements, it's actually quite refreshing. Suffice it to say that I love the hardware. It's thin, light, minimalistic, and actually quite beautiful. The notebook is called the CR-48, which is the atomic abbreviation for Chromium 48. They had around 60,000 of the notebooks to give away to people who were willing to beta test it. They opened up requests and I signed up as soon as I heard about it. Even so, I was very surprised when it showed up unannounced at my door. I'm actually kind of humbled that they actually sent me one. Anyway, on to the device itself. The hardware is great, but how is the OS? ChromeOS needs very little introduction. If you've used the Chrome browser on a desktop computer, then you've used ChromeOS. It's a very lightweight linux-based operating system that is just a browser, nothing more. It has some minor differences from the browser, of course, like date and time settings, Internet connection settings, the ability to sign in and out of different accounts, and a very simple file-browser. But for all intents and purposes, it's just like Chrome on the desktop. After solving my initial WiFi problems, I was off and running. I've been using the CR-48 as often as possible for the last few days and I've been pretty impressed so far. It's been surprising to me how much time I spend in the browser and how little I've needed to move back to my desktop. I actually wrote this entire post using the CR-48, with 3 other tabs open and music streaming from Slacker the whole time. This is an extremely solid and easy to use system that will be perfect for traveling, or for simple surfing on the couch. 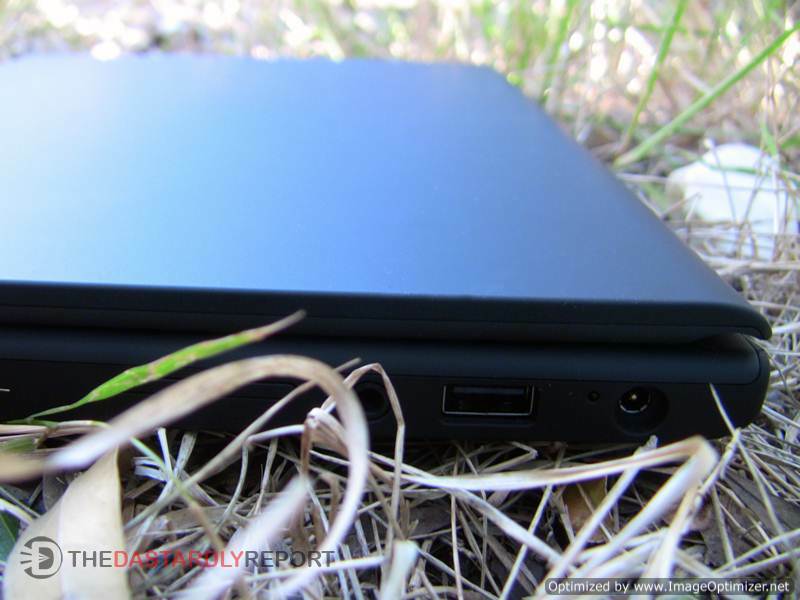 It obviously can't replace a desktop system for more advanced use like Photoshop, video editing, or mass-storage of music or movies, but for every-day web browsing, Flash gaming, etc., or for taking on the road, the CR-48 and ChromeOS seem perfect. I absolutely love how all of my bookmarks, extensions, saved preferences, saved passwords, etc. were automatically and quickly synced to the notebook as soon as I logged in. That cloud-based sync is one of Chrome's most powerful features, in my opinion. Now for the problems. Google made it very clear that the CR-48 is not a consumer-ready device. ChromeOS is still under active development (there have been 2 OS updates since I've had it), and is expected to be commercially available this summer. 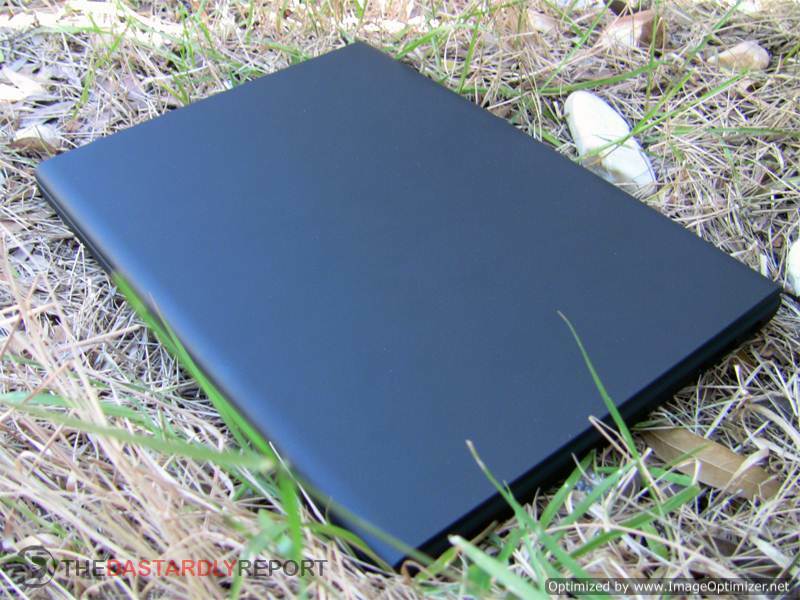 For now, though, Google wanted to get these notebooks into people's hands for beta testing. As such, it's hard to properly review the OS, since a problem I'm having today may be fixed in an update tomorrow. So keep that in mind as I continue with the problems I've had with the Chrome Notebook. Flash works just fine for most things, especially given the CR-48's low-powered hardware. But for streaming video, Flash gets pretty laggy. Adobe has already stated that they are aware of the problem, and are working hard to bring true hardware acceleration to the CR-48. Until then, video streaming and video chatting are somewhat less than ideal. As I shared in my previous post, the CR-48 has trouble with networks encrypted with TKIP. Switching to AES solves the problem, but this is still a very strange issue that needs to be addressed. In all likelihood, it can be easily fixed with a software update. This is my first real experience with a click-pad, so it's possible that my problems are due to simply not being used to it. The pad requires two fingers for most tasks, which works fine...most of the time. Two-finger scrolling works fine and is very smooth. Right clicking, however, has been somewhat frustrating. You have to put two fingers on the pad and then click down, which sounds easy, but half the time, it ends up left clicking. I don't know if this is a problem with the way I'm doing it, or with the pad itself, but it's definitely bothering me. In addition, I am quite used to moving the cursor with my right hand, while my left hand rests on the mouse button, ready to click. That obviously doesn't work here, since there's no button to rest on. 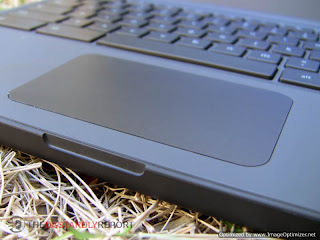 Not a bad thing, but if you're used to a traditional laptop touchpad, this will take some getting used to. The CR-48 has an SD card slot on the right side, which should be able to be used for uploading pictures from a camera memory card. It didn't work for me, though...at all. All of the pictures in this post had to be added from my desktop PC. I'm blaming this problem on beta software, and fully expect an update to address it down the road. One thing that definitely hasn't been a problem is the battery. Google says that the battery can last as much as 8 days with the computer asleep and I don't doubt it. I charged it up when I first opened it and I haven't plugged it in since. After a small amount of use each day, the battery is still at more than 50 percent. For a computer that I intend to carry with me, this is awesome and very welcome. Finally, the CR-48 has built-in 3G cellular access from Verizon Wireless. It's easily turned on and of from the settings. To sweeten the deal, Google and Verizon have teamed up to offer all CR-48 users 100MB of free data each month for 2 years. That's not much at all, but it's enough to quickly get online in a pinch when no WiFi is available. Users can purchase extra data for $10 for an unlimited 1-day pass, and monthly plans start at $20. There are no contracts and plans can be changed easily. If you use the free plan, you can even see how much of your 100MB is remaining by simply clicking on the WiFi status icon, which is a very nice touch. In conclusion, I think ChromeOS and the CR-48 definitely have a place in the tech world. Lots of people have predicted its demise, and how it will never catch on, blah blah. I disagree, for the most part. On the consumer side, perhaps that's true. The average Walmart shopper is very unlikely to chose a ChromeOS netbook over a Windows 7 netbook, simply because Windows is what they're familiar with. But ChromeOS could be a massive success in the business world, both for traveling computers, and desktops. Imagine your fleet of sales people having cheap, easily replaceable laptops with zero risk of lost data should the computer be damaged. Or an office full of ChromeOS desktops where each user can log into any computer and immediately have all of their bookmarks and data. So I certainly don't think it's going to be a huge flop, but I also don't necessarily think it will gain mass-market attention. Personally, I am really enjoying it, and I see the potential. I'm honored to be selected as a beta tester, and you can expect more posts about ChromeOS and the CR-48 as its updated in the coming months.